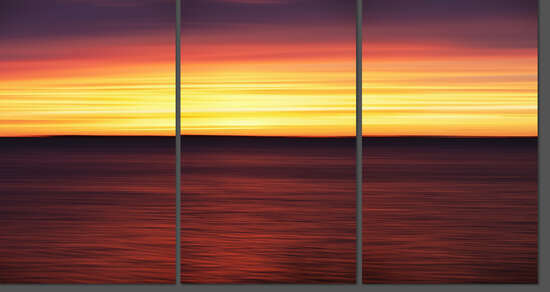 Where others might employ a single panorama photo, Josh von Staudach opts for triptychs. 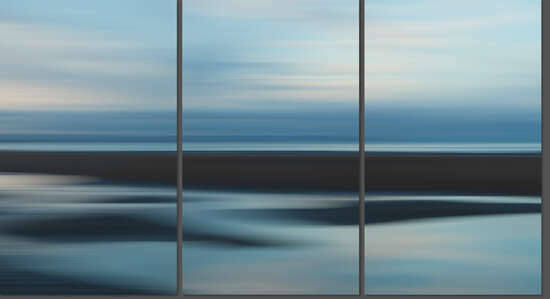 And despite splitting the image into thirds, he does not simply capture nature in mere sections. On the contrary, his work does justice to the vast expanse of the horizon. Von Staudach’s pieces depict the manifold nature of the sea, both touching and powerful at once. These photographs are very immediate, bringing us under their intensely peaceful spell with their enormous depth. The wonders of nature are not for us to decipher. Nature holds secrets that Josh von Staudach adeptly finds and captures. 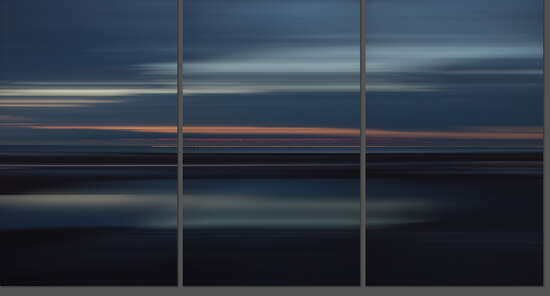 At the same time, the “threefoldness” of his pictures is very terrestrial. Von Staudach presents unique, constantly changing hues and an opportunity for meditation. Bridges are strongly symbolic. They can help overcome borders or lead to a new life. Josh von Staudach’s Bridges 360° depicts Europe’s bridges as we’ve never seen them before. The photographer approaches the fascinating structures from more than one side and captures them in their entirety – a nearly impossible undertaking, but one he succeeded in nonetheless. The photographer transformed Europe’s most beautiful bridges – including the Suspension Bridge in Glasgow, the Eiserner Steg in Frankfurt, and the Makartsteg in Salzburg – into breath-taking 360° views. Von Staudach’s photographs are impressive in their technical precision, imaginative execution, and special atmosphere. The unreal perspectives von Staudach uses broaden our view in that, the far side of the bridge is brought together with the near side. By seemingly bending the steel girders, two – or sometimes three or four – paths lead to the peaceful city on the horizon: a promising destination. Stuttgart-based artist Josh von Staudach creates new dimensions in his photographs. He plays with visual conventions and shows how one standpoint is not enough to capture reality. As an artist, he is very open to all of the modern means of image editing. He is drawn to the unusual, to “that which was never there”. For that reason, he is also dedicated to extreme photography in which he positions his camera in exceptionally inaccessible locations and develops techniques for radical macro and telephoto pictures. Von Staudach’s pictures have featured in countless exhibitions and publications all around the world. Closeness and distance, haze and reflection – I want to pack all of that into a picture. For the extraordinary 360° view uses in the Bridges 360° series, von Staudach uses special photo equipment. Using a special panorama tripod-head, he rotates the camera around a center point to create urban panoramas that maintain vertical congruity. The different individual elements are put together into one big, new scene. This work requires intensive planning and preparation. Von Staudach photographs his urban landscapes with a large depth of field – every detail, every layer of the photograph should be visible. For him, “out of focus” is not an option. In contrast to his crisply detailed bridge photos, the images of the sea are softer in focus, almost blurred. Their strength lies in the interplay between colours and surfaces. 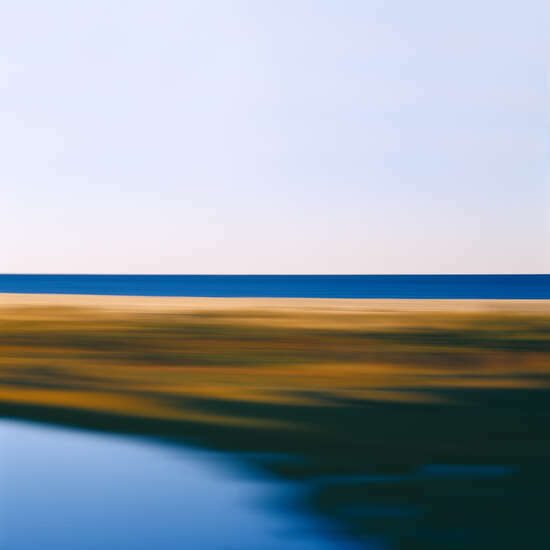 In his Mallorca travel notes from February 2007, von Staudach describes the moment he first came upon this technique: “Pictures by Gerhard Richter and Hiroshi Sugimoto are projected into my mind’s eye.